Got an issue to air? Make a short documentary. Got a passion to share? Make a short documentary. Just want to stand and stare? Do it holding a camera. The result? 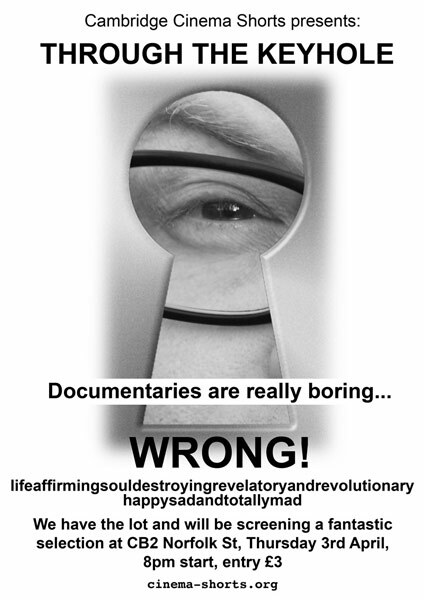 Its a documentary. 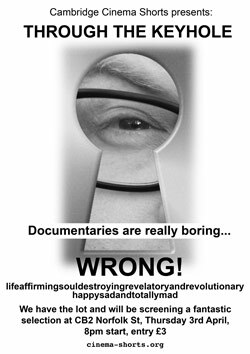 We have documentaries from all over the planet, keyholes into other lives, other minds, other worlds. And some of them will rock yours. That’s a promise. Bar Café and Restaurant Open Why not make an evening of it?